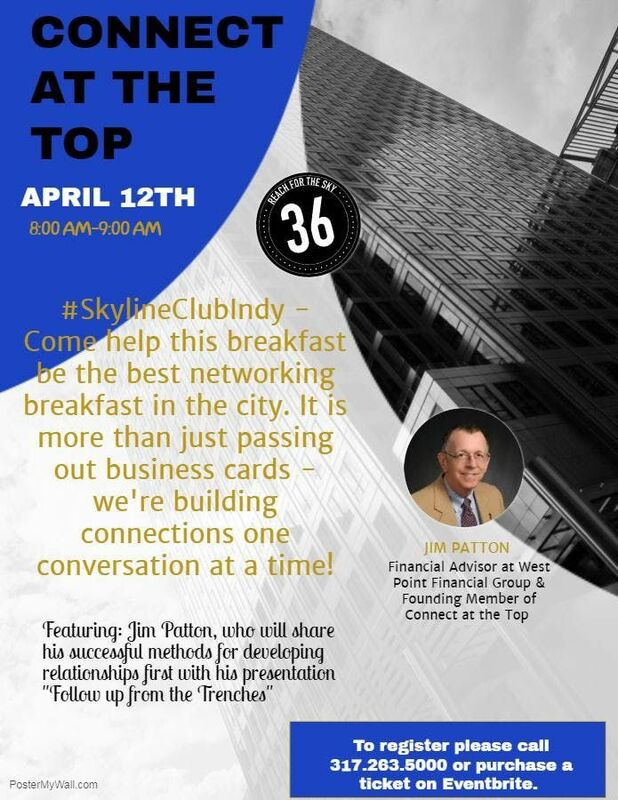 #SkylineClubIndy - Come help this breakfast be the best networking breakfast in the city. 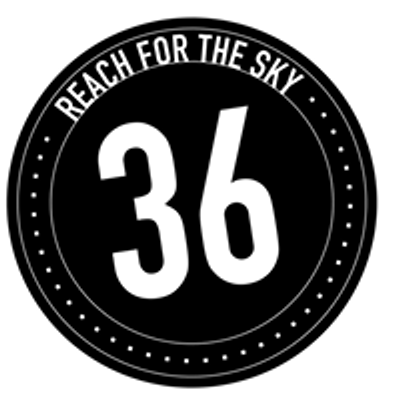 It is more than just passing out business cards - we're building connections one conversation at a time. 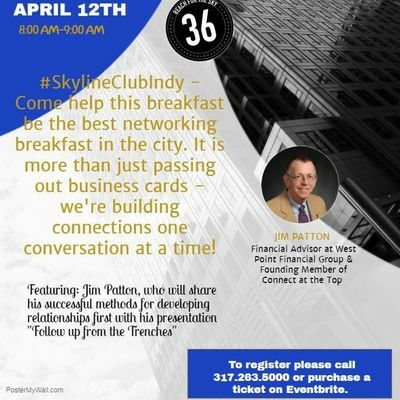 Featuring: Jim Patton - Financial Advisor at West Point Financial Group - will share his successful methods for developing relationships first with his presentation "Follow up from the Trenches"